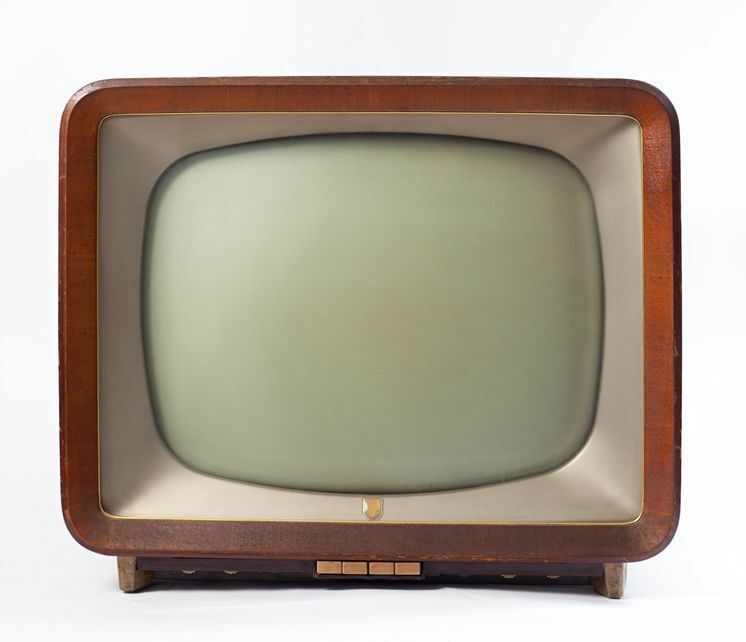 DEBORAH CROMBIE: My daughter and I were chatting the other day and it occurred to us that my granddaughter may not know the meaning of the phrase "change the channel." Their TV is all streaming--as is ours, actually, but we have a gadget that gives us broadcast TV in real time. Then, a big cheer at our house--The Orville is back! This is a weird one, Seth MacFarlane's valentine to the original Star Trek. It's not really a comedy, although it's sometimes very funny. And it's not really a drama, although it sometimes deals with very believable relationships and big issues. What do you know, a show that doesn't fit into a box!! (Neither did Star Trek.) Critics hate it, viewers LOVE it. We are obviously in camp 2. 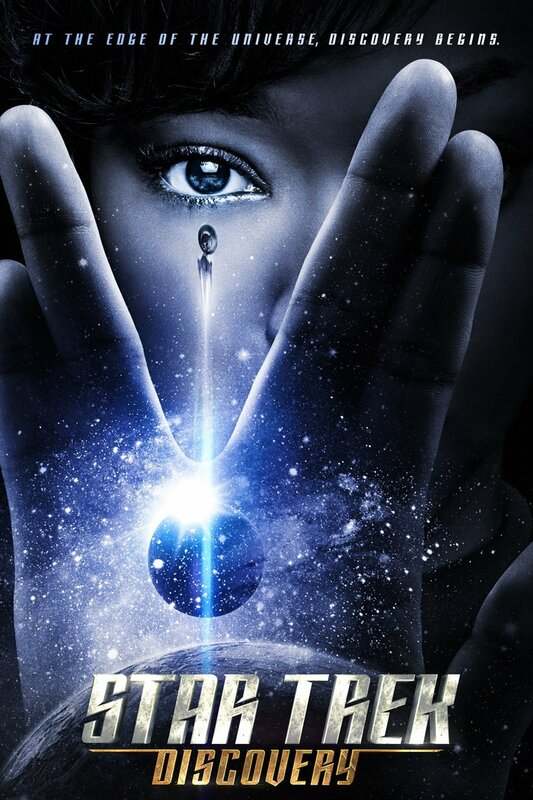 There's more sci-fi--Star Trek Discovery is back! Critics like this better. Hmm. Is that a good thing or a bad thing? I don't know, and I don't really care. We love this one, too, although it is definitely on the darker side. Oh, wait, that was cheating a little, wasn't it? Because Star Trek Discovery is CBS All Access, so not really broadcast. But having cheated a little, I'm going to cheat some more and go full-on streaming. My big thrill at the moment is the adaptation of my friend Deb Harkness's A Discovery of Witches. We're a few episodes in and loving it. I went into it with a little trepidation, I have to admit. It can be off-putting to see books you've loved brought to the screen, especially books with such complex world building. But the casting in this adaptation is terrific, the pacing is great, and in the first few episodes the Oxford scenes alone are enough to make an Anglophile like me swoon. Am I allowed one more cheat, since I set the rules here? Tomorrow is the release of the third installment of the second season of Agatha Raisin. I absolutely adore these (much more than the books, in this case,) and LOVE Ashley Jensen, who stars as Agatha. They are deliciously funny and smart--and they are set in the Cotswolds, which we all know is the murder capital of the world! REDS and readers, what are you watching? Have you gone all streaming or do you still catch a few shows on the Big 3? And the really big question--do you read television critics reviews? Nope, I never read the reviews because the critics never agree with me. When Isaac is here, he always expects to be able to watch Paw Patrol or Lion Guard whenever he wants. Until now, we haven’t done the streaming thing; now that we have that set up, my viewing might become a bit more eclectic than it is right now. Tonight, of course, I watched the figure skating championships . . . The “always watch” shows around here tend to be NCIS, God Friended Me, 60 Minutes, Blue Bloods, The Rookie, and whatever is playing on Hallmark Movies and Mysteries. I try to catch Seal Team and Manifest, but that doesn’t always happen . . . .
Debs, I started to post on your FB earlier and ask you if you'd watched A Discovery of Witches yet. I haven't started it, but I plan to, and I'm so glad to know that you like it. 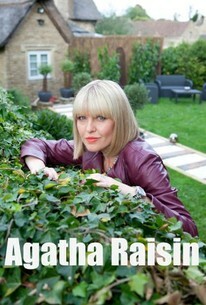 And, I love Acorn's Agatha Raisin. I'm ready for #3, too. I actually have enjoyed M.C. Beaton's Agatha Raisin books. In fact, my friend that just died and I had read them all together, and it was one of these books she did her last review on and mentioned me in, so now, of course, they are even more special to me. I wasn't sure I'd like the Acorn production because of the Agatha being blonde in it, but I love it. Since we're cheatin a bit, I also love another production based on books I loved, Outlander. With the Big Three, or used to be Big Three, networks, I still love Grey's Anatomy, even though I said I'd never watch another episode after one of my favorite characters died. 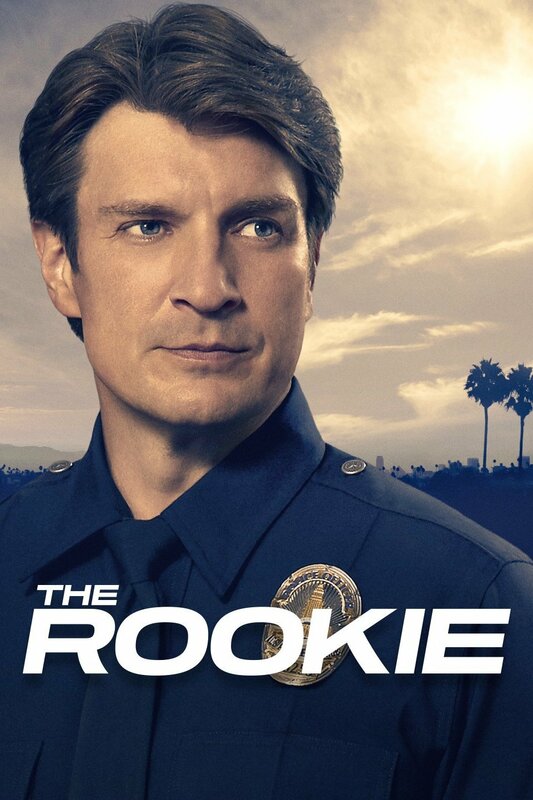 I do like Nathan Fillion's new show The Rookie, too, but, as you say, it's Nathan Fillion. I like the new show A Million Little Things, finding the different characters' lives interesting. I'm still a fan of Criminal Minds. America's Got Talent has got my attention every Monday evening. I've missed quite a few This Is Us, but I hope to watch them sometime, as I DVRd them. Although, for some reason, it's not holding my interest like it did at first. I'm kind of watching Manifest, but I've missed some, too. The comedies I enjoy are Modern Family, Blackish (although not quite as funny as it was), Mom, and The Goldbergs. I've recently gotten interested in Splitting Up Together. The shows I really, really don't want to miss though are Grey's Anatomy and America's Got Talent. If I have to DVR the others, it's okay. Oh, and I am a sucker for Dateline and 20/20 when I catch it. It would be so easy to get into the Netflix, Acorn, Amazon Prime, Sundance, and the other extra channels, but I'll behave myself. Well, except to say that I hadn't had any desire to watch True Detective, but I just happened to catch Season Three the night it started, and I now am watching it. On the Big 3 my shows are NCIS, The Rookie, and Big Bang Theory. On non-Big 3, I love Victoria on PBS and Doctor Who on BBC America. Everything else I watch is streaming (CBS All Access, Netflix, Prime, and BritBox). I've heard A Discovery of Witches (sort of like Dark Shadows?) and Blue Bloods are good so they're on my to-watch list. If you haven't watched it yet, I recommend Longmire on Netflix. Aren't we lucky to have so many more choices these days? Now is the platinum age of TV, I think, between all the streaming services and cable choices. More competition means higher quality of offerings. So many of them, too, are shows network TV would never have taken a chance on, like Grace & Frankie. It's so refreshing to see octogenarians starring in a TV show, and talking about real issues, like long-latent homosexual longings (I personally know several people in real life who basically hid in heterosexual marriages for decades, rather than risk public approbation for their real selves), and female masturbation, and mature love in general. An aging population in the US hungered for entertainment that spoke directly to them (us, who am I kidding? ), that much is very clear. That said, I do not watch network TV, and haven't since the bitter campaign season of 2010. I just couldn't take the incessant negative ads, so just pulled the plug. Netflix (and Acorn, and now BritBox) makes that a much easier decision. One fallout from never turning on the TV is that I never remember what day of the week anything is meant to air originally. But it's a small price to pay to avoid ads. And no, I never read reviews. Unless they're written by someone I know and trust. Kathy Reel, Agatha Raisin being blonde, and hot, threw me, as well. I had always pictured her as something of a battleaxe. Buy I love Ashley Jensen's accent. It reminds me of a very dear Brit friend from the same part of northern England. Female-centric programming is big, and Netflix, et al, have taken full advantage of their platform to fill that void. Bravo to them. PS Coincidentally, I'm going to pick up a whole-house TV antenna for the new house today. Karen you can watch most broadcast shows on Hulu as soon as they've aired. No commercials, no campaign ads. Worth the little bit it costs. And I so agree about the female-centric programming. Apparently there aren't any Star Trek fans on here today, but Sonequa Martin-Green, who stars in Star Trek Discovery, is wonderful. But then Star Trek has always been ground-breaking in its casting and diversity. I'm a huge Star Trek fan, but I won't pay for the service to watch the show. I can't do streaming here - not enough bandwidth available and apparently there is no way to get more. Oh that isn't true really - I could get satellite internet but it is very expensive. I don't really watch much TV although I always liked NCIS and Blue Bloods. I think both shows are running out of steam or maybe I'm just bored with them. My best bets are things on PBS. I was a long time NCIS fan, but with Tony gone, and now Abbie, I have kind of faded out it. And I would kind of like to see Mark Harmon do something else. He's a very good actor. He made a TV movie adaptation of one of the John Sandford Prey novels a few years back for the USA Network. It stunk. So hopefully whenever Mark Harmon decides the time has come to end the show (which I hope is still far off because I still love the show! ), he'll come up with something better than that. I cancelled the network television portion of my cable service about two years ago and I haven't missed it. I heartily agree with the streaming choices we seem to be enjoying together. Agatha Raisin, Vera, Dr. Who and Murdock Mysteries are my current "must see" tv. As a side note: I have a picture of Nathan Fillion on my desk. It is captioned with the words "You should be writing." It tends to keep me motivated! Ha! I need one of those! I haven't watched The Murdoch Mysteries yet but they are on my radar. And I am behind on Vera and Shetland. I need more time in front of the TV and less writing, LOL. On other networks? Ooh, The White Queen, and The White Princess. SO great, about the War of the Roses. Seven Seconds. (anyone, anyone?) And there's an Australian show called Rake, about a defense attorney, which is pretty hilarious. We loved Bodyguard, too. Oh, we loved Bodyguard!! Biggest audience ever in the UK, I think. My husband watched Rake a couple of years ago, and he loved it. NCIS NOLA because I recognize many of the set locations and Madame Secretary. We have the cable sports package for international soccer, so I borrow library DVD's for crime drama: Jack Irish, Dalziel and Pascoe, Judge John Deed (Martin Shaw), Shetland and Vera. I'll try an Agatha Raisin. Australia is creating wonderful crime dramas. I love learning about the country. Margaret, watch Agatha from the beginning. The pilot is Agatha Raisin and the Quiche of Death. I don't read any critic's reviews because they all too often conflict with mine. On network TV all we're watching is "Gotham" and "The Blacklist." This is the last season for "Gotham," and I'm kinda glad because it's gotten way weird. Like, weirder than normal (it's a show based on a comic book, so you expect some weird, but there's a limit). We are glad that "The Blacklist" seems to have taken Red Reddington back to the character of a few seasons ago, but I'm on the fence whether I can stand much more of Liz's "Is it my father/can I handle it" angst. Every time she thinks she "knows" something about Red she's wrong, so why should this time be different? On the streaming front, we just finished binge-watching "Bosch." Another one I wanted to watch a long time ago, The Hubby was iffy, but when we got to it he said, "Wow, this is really good!" So glad they avoided some tropes that really irritate me (which I can't talk about unless you've seen the show because...spoilers). I want to see the next season of "Lemony Snicket," but The Hubby wants to catch the next (and last) season of "The Punisher." I think I'll be on my own for Lemony. We liked Bosch, too, but haven't started the second season. Have you seen it? You know, I watched the Blacklist for the first couple of seasons but just couldn't keep up. 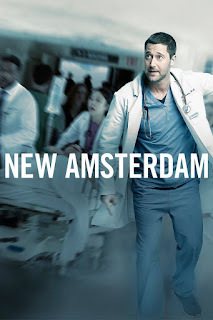 But Ryan Eggold who played Tom Keen is the doctor in New Amsterdam. I've watched The Blacklist from the beginning but have lost my desire for the show and haven't watched the new season. I've actually dropped a number of shows that I used to watch from my list this year. Debs, every season of Bosch is great. Definitely watch them. Jay/Debs: I'm starting to be in the same camp about The Blacklist, but The Hubby still likes to watch it. What do I watch on regular tv? The Great British Baking Show! Antiques Road Show! And reruns of The Good Wife, NCIS and CSI (though it sank imhop after Marg Helgenberger got dumped.) The Good Place (though I stream it.) And last night, watching Washington Week on PBS ... a particularly satisfying episode. I have a terrible time watching regular TV with all the commercials. Seems like the time is half commercials (Alex Trebeck selling elders life insurance... Feh.) Just watched the first Maigret and enjoyed it though the plot was SO farfetched. And the actor (Rowan Atkinson) who plays Maigret was Mr. Bean... VERY hard to erase that memory. LOVE Great British Baking, but haven't seen the new series. And I haven't tried Maigret yet, but intend to. About the only "Big 3" shows we watch via our digital antenna in real time are NCIS and FBI on Tuesday nights, but on CBS All Access we sometimes also watch NCIS New Orleans and Instinct. When my husband and I watch streaming TV together, it is almost exclusively mysteries from Acorn or BritBox--- in addition to several already mentioned like Vera and Murdock Mysteries we also loved Miss Fisher's Murder Mysteries (sadly no new ones forthcoming) and we love Brokenwood. We still follow Midsomer Murders, too, even though they are a bit long in the tooth. Oh, and the Maigret adaptations with Rowan Atkinson are wonderful! On the rare occasions I watch by myself, I have also enjoyed Grace and Frankie and the new one this season, The Kominsky Method. In it we get to watch a pair of older male actors actually act their age, to equally good effect. 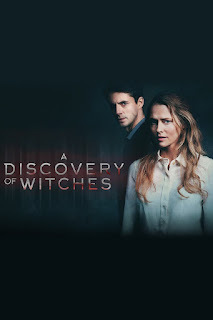 I am thrilled to hear that the adaptation of A Discovery of Witches is a good one! I will DEFINITELY be checking that one out. There was a fund me program to finance a movie of Miss Fisher. It is in production now. I love Midsomer Murders! It's the comfort show, to me, equivalent to what Murder, She Wrote, was back in the day. I loved Miss Fisher's Murder Mysteries, and that prompted a purchase of a beautiful bedside lamp with Crystal droplets from that era. I really want to watch Agatha Raisin, but haven't purchased Acorn yet, although it's on the list for a future purchase, as we currently have Hulu, Netflix, Amazon Prime (enjoyed Downton Abbey, The Good Wife reruns, a new show Mrs. Maizal, there), and recently started HBO Now. We have DISH TV, but after the end of our contract, went with fewer channels, as we love streaming our shows. Victoria, Big Bang Theory. 911. This is Us Million Lirrle Things. CBS Sunday Morning. The Resident. Anything on Acorn and BritBox. Movies on Netflix and Prime. Roku for most everything but Hulu if we must was network. No cable in six years now. Antenna if we much watch something live. News blackout until the Orange cretin disappears. Waiting for the Queen and Call the Midwife. Hope you're home recovering, Ann. I DO read TV critic reviews... in the Boston GLobe, Matthew Gilbert is brilliant and has alerted me to more than a few programs I didn't know I'd love. I find his reviews spot-on... for me. Hallie, I'll check them out if I can find them online. Do I read reviews? Yes, sometimes. Doesn't mean I necessarily agree with what they say or let them determine if I'll watch something. About that Agatha Raisin mention, I saw the first episode and was pretty shocked to love it. Sadly, I don't have Acorn TV so I can't watch anything else in the series. As for regular TV...oh now you've done it. This is my area for sure. In May, when the networks announce what their schedules will be for the fall, I prepare like it is the NFL draft. It's called Upfronts Week and I have a chart where I fill in what I'll be watching come the fall. And it will be what I'll watch live and what I'll watch on On Demand if there is a timeslot conflict with one or more shows. There was also Doctor Who and I'm waiting for the new seasons of Game of Thrones and Elementary to start as well. Now some of these are on cable networks and some have ended their seasons or series by now but this is pretty much everything that I've been watching so far this year. As for a streaming show that I'm waiting for, well...Lucifer Season 4 on Netflix is due this year. Jay, you can be our go-to broadcast TV person. As for Agatha, I think all the episodes are available on Amazon Prime. I'm sure they are available, but I don't have Prime or any streaming services. Oh and speaking of Nathan Fillion, I'm a huge fan as well. But he will always be Captain Malcolm Reynolds to me. I loved Mal, but Castle, not so much. Same Debs. I'll take Mal any day over Castle! I loved Castle until the last season. I bought the books and the comic books that they published to tie into the series as well. But everything will always come back to Firefly. Now if I could only get to meet him at a convention. I've met four others from the cast over the years that way. Our choices are so interesting, aren't they? 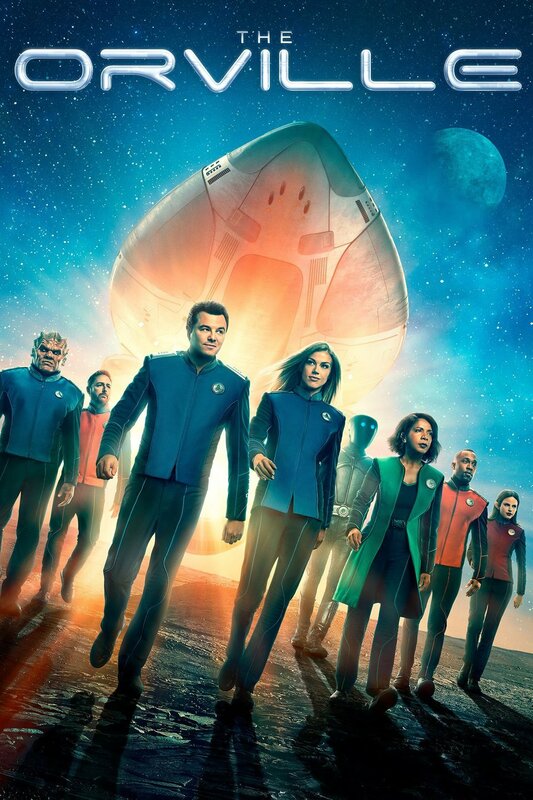 Reading them, I realized that I don't watch any comedy, except for The Orville, which is not exactly and certainly doesn't fit the half-hour sitcom format. It seems like I grew up on British comedy shows and so never really got into the American ones. I'm sure there are some things I should explore, but too little time, too many choices! I do think, however, that streaming TV has so much to offer over broadcast these days, and even over film in most cases. Speaking of British comedy, I'm actually in the midst of re-watching Are You Being Served? from the 70's. It is hysterical. One of my faves. We've tried to stream, but no dice. Bought fancy new TV, tried to set it up for streaming, it won't recognize our (newish) computer. Comcast says it should work. Nope. They came out, tried it, nope. We get regular cable, the Big Four (ABC, CBS, NBC, Fox) don't seem to have much to interest us, but we do have to change channels with the remote. We watch some PBS shows: Newshour, Nature, Nova, Midsomer Murders, Father Brown, Victoria. We also watch 60 Minutes, and Wife has been watching Masked Singer (I say no, thanks). So I guess we're missing a lot, but reading is a pretty good thing too. Dipped a toe in streaming, but on laptops and chromebooks. I keep promising myself I'll look into Hulu but haven't done it yet. What gadget allows you to watch the local stations? That's been my hold-back. 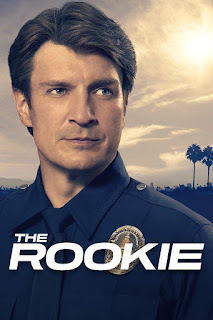 Your description of The Rookie reminded me of the Cagney and Lacey reboot, TV movie? Lacey comes back to the force finds herself a rookie and Cagney is now a supervisor. Anyone else remember that? The experience/rookie conflict drove the show, and in the case of The Rookie, life experience can serve the same purpose. Has potential. A TV with a cheap antenna is all you need, Kait. I just bought an antenna for our HD TV. There are loads of choices, some as inexpensive as $15-20. Read reviews first. Excellent, my lack of tech is clearly showing. I'll check it out. Thanks, Karen. I am loving A Discovery of Witches, also! The way they filmed Oxford and Venice is so beautiful. I’m glad to hear Agatha Raisin new season is on Amazon Prime. I will catch up on that. I would give up our Direct TV if I could convince my husband, but he loves to watch sports on it, so our entertainment packages at home are quite expensive. Thank goodness Hulu and Sundance Now are offering discounts that I am using. We economize in other ways. Teri, we gave up our Direct TV nearly two years ago. We do have an outside antenna which we can use to get off-the-air, but we also have Tablo from Amazon which allows us to stream and record broadcast channels. We bought the most expensive one (allows us to watch/record four things at a time, which we seldom need) but two years worth of no satellite or cable bill has way more than made up the initial investment. And what we pay for our streaming services is a pittance compared to that monthly bill. I do miss BBC America, but most things I watched are available from other services. The thing I REALLY miss is the Food Network. I suspect they are in contract with the cable/satellite companies, and hope that will change and it will become available streaming, as is HGTV. My husband doesn't watch sports, so that's one thing I don't have to worry about! I don't stream. So I have to change the channels if I want to watch something. Of course, most of the time it is on my DVR, so I don't really change the channels, do I? Anyway, if you aren't watching The Good Place, you must. So funny! As a Christian, I feel the need to point out that I don't agree with the show's theology at all, but I don't watch network TV shows for theology. Very funny, intelligent show. And I will have to figure out streaming when the new Veronica Mars shows up on Hulu later this year. MY daughter will be thrilled to know there's a new Veronica Mars! I've meant to watch The Good Place, Mark, so will add to my list. Mark, The Good Place has been an absolutely brilliant show these three seasons. Deborah, did your daughter see the movie they made for Veronica Mars or read the two prose novels set after the end of the movie? The revival coming to Hulu is for 8 episodes and pretty much most of the cast is returning. Jay, I will ask her! I'm a streamer! Because everything works around deadlines, I tend to have loads of episodes on the DVR to watch. I just caught up to The Good Place - this is the BEST show going, IMHO. Smart, funny, thoughtful - truly, every time I think they have no place to go with the plot, they twist it and I am left gasping (that never happens to me) and am hooked even deeper than before. LOVE IT! Deborah, it is funny that you mentioned A Discovery of Witches. I loved it and just saw it on Sundance! I read the book a long time ago. I read the 2nd book and the 3rd book in the series. In the last few pages of the 3rd book, there are two witches sharing their interest in murder mystery novels and they mention these detectives Gemma and Duncan. I thought of you when I saw their names. Love streaming TV because there are no commercial interruptions. We were watching Murphy Brown on CBS and there were many ads! These days we rarely watch TV unless it is PBS or cable tv like Starz for Outlander or the Hallmark channels for their adorable movies! The actress from Agatha Raisin was on a Hercule Poirot mystery on PBS. I love Midsomer Murders and can get all of the episodes on streaming TV. On PBS, they repeat the first ten years of Midsomer Murders. Laughing about critics because I rarely agree with critics. A critic said that young people are not interested in foreign films because of the English subtitles. I penned a letter to the newspaper, pointing out that there are young deaf people who love foreign films because of the English subtitles. It is only in the last 5 years that movie theaters are accessible to deaf audiences. We can get the Caption machine at the check in and watch any movie with the caption machine :-) . It meant that we could catch movies nominated for Academy Awards instead of waiting months for the movie to be released on video! Diana, Deb Harkness is a Duncan and Gemma fan, so that was such a nice little mention. And you are so right about the subtitles. Even though I am only partially deaf, I love being able to watch things on TV with captions. I didn't know about the caption machine at the theaters! I'm sold on The Rookie, and am a fan of Agatha Raisin, Miss Fisher, and most of the mysteries on PBS. And does anyone else care that there's a new season of Doc Martin, at long last? After a less-than-stellar last season, I have high hopes for this one. CBS - all the NCIS's, Madame Secretary, Bull, FBI, Big Bang Theory, Young Sheldon, SWAT, MacGyver, Hawaii 5-O, Blue Bloods, Ransom, and Elementary. ABC - Dancing with the Stars, The Good Doctor, The Rookie, Gray's Anatomy, Station 19. 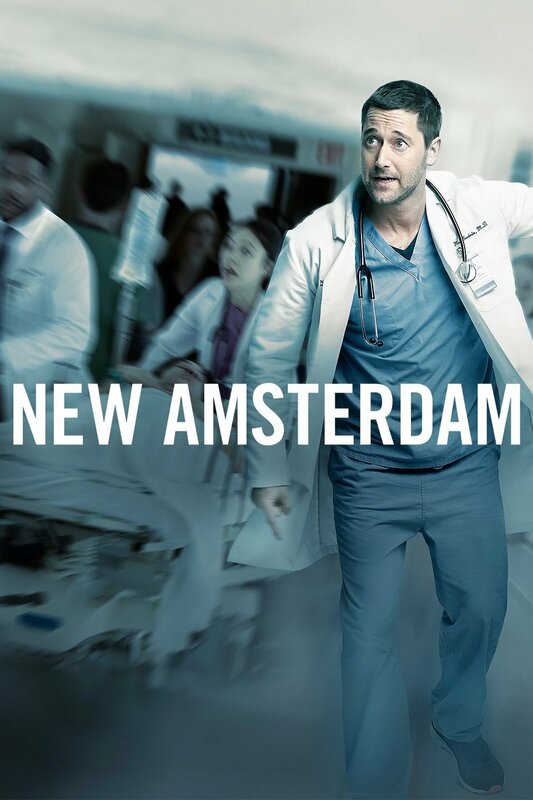 NBC - The Voice, New Amsterdam, The Blacklist. CW - Supergirl, The Flash, Arrow, The Legends of Tomorrow, Jane the Virgin. Fox - The Resident, The Gifted, The Orville, So You Think You Can Dance. PBS - Victoria, Poldark. Some things on the Food and Cooking Channels. Christmas movies on Hallmark, mysteries on Hallmark Movies and Mysteries. Oh, my soaps, The Young and the Restless and The Bold and the Beautiful. I watch some things on Netflix now, too. I like commercials since I read during them. Great News, my favorite show on The Big Three, was canceled. (sad trombone) But another vote from me for The Orville! We discovered it because one of my good friends works on the show in the prop department. We started watching just so we could tell her we tried it, then ended up loving it! Meanwhile, I've discovered the joy of Netflix.